Every version of the Flaanimal has interchangeable dropouts. 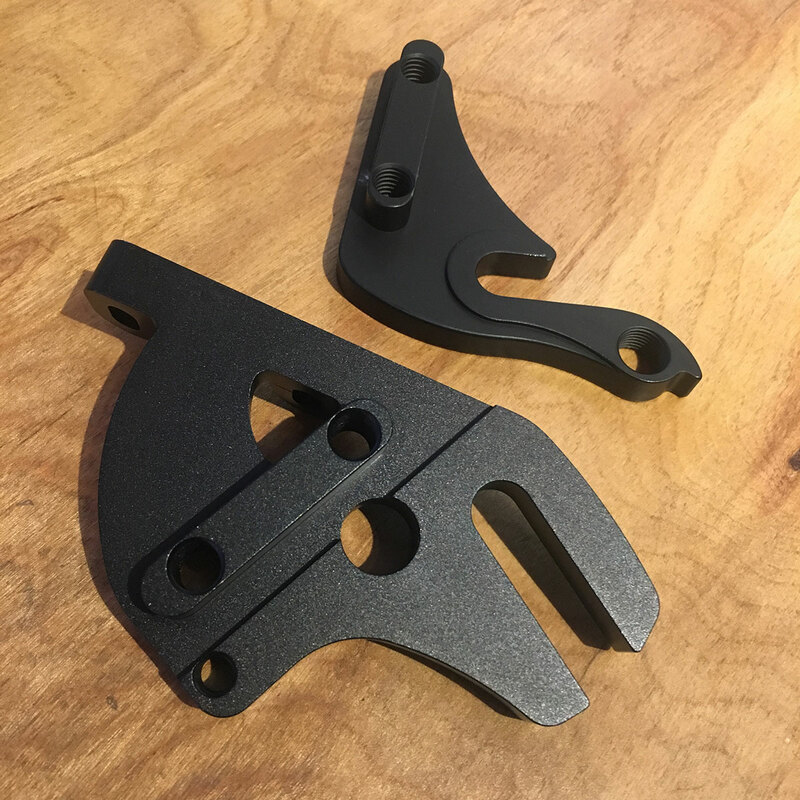 Flaanimal 3.0 and beyond support flat mount disc brakes but typically only hydro flat mounts fit because mechanical flat mounts have a much wider caliper. The standard dropouts are also 12mm through axle. For users wishing to run their Flaanimal with 135mm QR wheels, Rohloff internally geared hubs, or Shimano Alfine internally geared hubs this presented a compatibility problem. We’ve solved this issue with an alternative flat mount option: The off-the-back flat mount QR slider. This moves the caliper behind the chain stay where it has plenty of room for larger calipers. The QR dropouts are designed specifically to be compatible with Rohloff hubs and are additionally compatible with Alfine hubs OR any standard QR hub. This slider can be used to upgrade older QR Flaanimals with ISO or post mount brakes to the newer flat mount standard. This part was developed entirely for Flaanimal framesets and is compatible with our standard 12mm through axle. Flaanimal 3.0 was not supplied with QR sliders so this kit includes left and right side QR sliders. Aluminum. Anodized. QR through axle configuration.